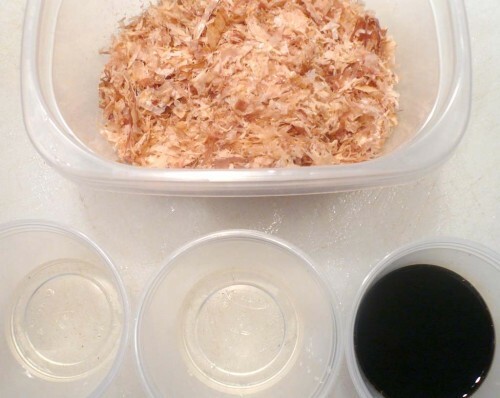 Junsai, Bonito, Soy, Mirin – Alinea cookbook recipe, pages 270-271. It’s a texture thang. 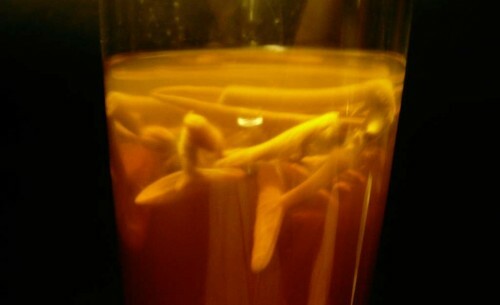 This Alinea cookbook recipe is a cold shot of dashi with a floater of slimy junsai — water lily buds, that is. 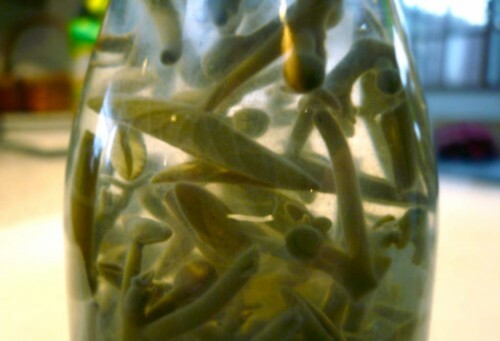 These rare ‘veggies’ come from the submerged parts of the Brasenia schreberi plant, and are coated with a clear mucilage that imparts quite a unique mouthfeel when eaten. Some will like it, others not! I liked it. 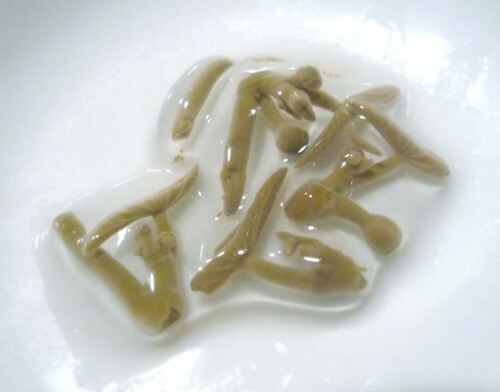 I’ve heard dashi (出汁, だし) is traditionally known as a basic cooking stock, not a straight-up beverage. I spoke to my son’s karate sensai about this recipe, and Shihan replied with disgust, “uugghh, that is no good.” I, personally, like it — however lowly it may be thought of. 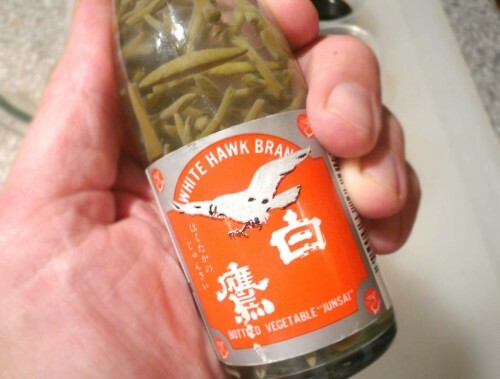 Think of it as fundamentally as veal stock, chicken consumé, or miso broth. 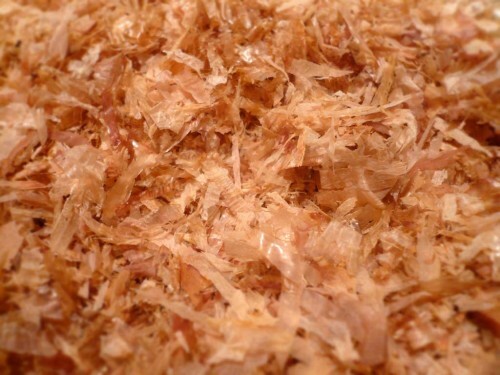 It’s made by boiling dried kombu seaweed with kezurikatsuo (dried, shaved bonito tuna flakes). 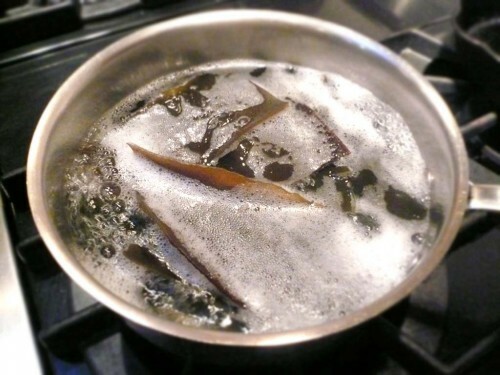 I soaked the kombu overnight in a bowl of water. 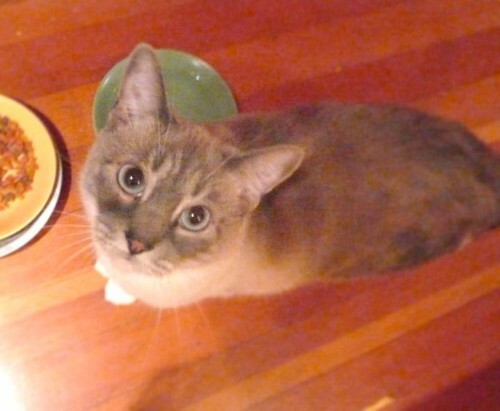 …and poured it over the bonito to steep. After about 15 minutes, I strained it through a coffee filter, then added some mirin cooking wine, rice wine vinegar and soy sauce to taste, and refrigerated. 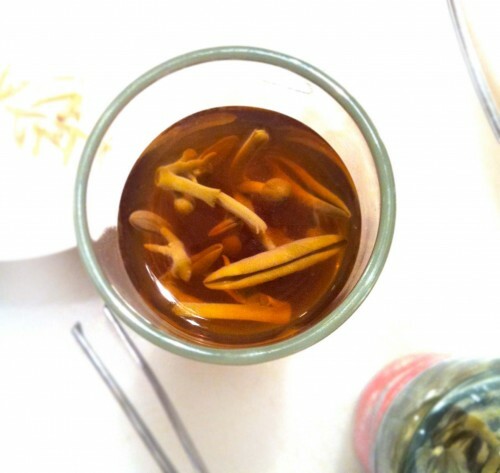 Junsai (Brasenia schreberi), also commonly known as ‘water shield,’ ‘dollar bonnet,’ and ‘water target,’ is a type of floating flower related to the lily family. In fact, many people consider it to be a water lily. It looks like one: flat, oval, greenish-purple leaves floating on a pond’s surface with small purple flowers. But, unlike virtually all water lilies, its submerged parts are covered with a thick, clear mucilage. This slimy goo protects the flower’s buds, fruit and emerging leaves, all of which are edible and have been consumed for eons by Asian and Native American cultures. 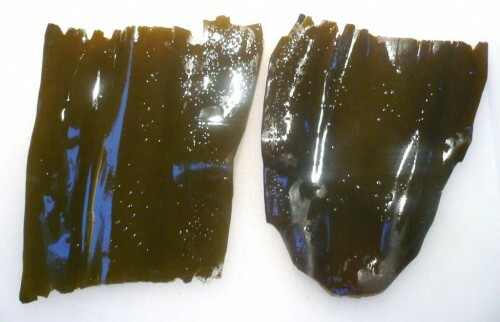 Today, junsai is grown and commercially harvested in China. Never heard of it here in the States before? No. Not so surprising… until you know it’s indigenous to many parts of the U.S. and Canada! I did not know that. I suppose people just think of it as a pretty pond plant. But just try buying some here. Hahahaha! I went online to the Alinea Mosaic to see if anyone had found junsai. No. Allen Hemberg of The Alinea Project was still looking. 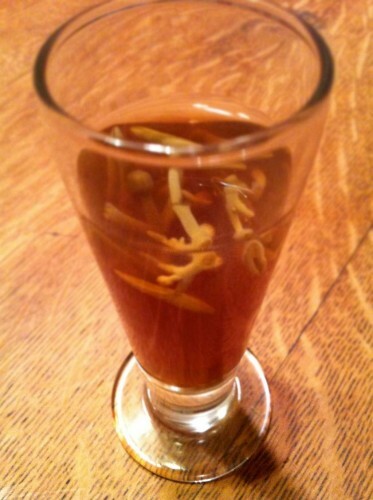 Carol of Alinea at Home used enoki mushrooms in her version. Which, I may say, sounded pretty tasty! But no junsai. I was determined. And eventually found several sources online. 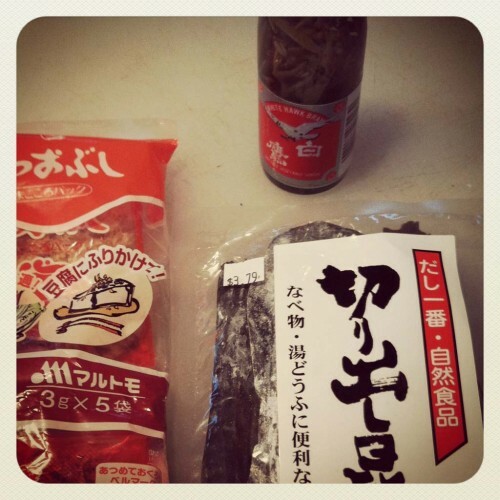 Nishikidôri Market and Workshop ISSé, both located in Paris, France had it in stock! A bit expensive at 8,00€ for the junsai + 28,00€ for shipping (US$42.42 total, for a 60ml bottle delivered to the US), but I found them! 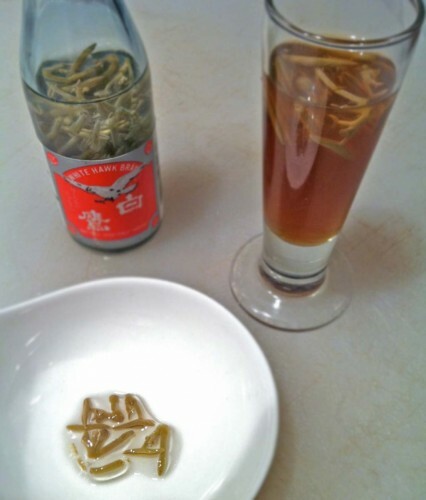 Add some chilled dashi to a shot glass and toss in a few junsai.